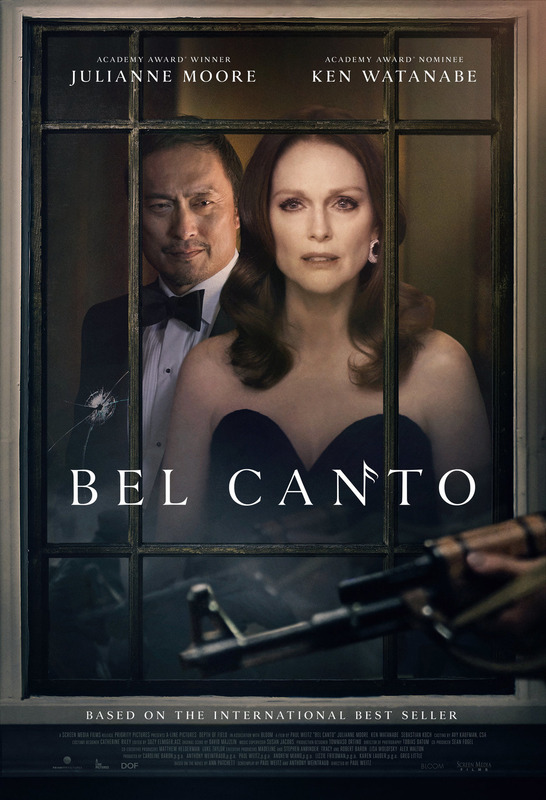 A love story that follows a famous soprano (Julianne Moore) who travels to a military dictatorship in South America to give a private concert at a party for a wealthy Japanese industrialist (Ken Watanabe). Just as the glittering gathering of diplomats and politicians convenes, the mansion is taken over by a guerrilla rebel group demanding the release of their imprisoned comrades. Threats are made, lives are lost, a tense negotiation begins, and a month long standoff ensues. While they are confined to the house, the hostages and their captors, who speak different languages, are forced to find ways to communicate. Music, especially the beautiful arias performed by Moore’s character, a songbird in captivity, sparks a shared sense of comradeship and even love, uniting the disparate housemates as they form unexpected bonds, overcome their differences, and discover their shared humanity.